Electronic gates at North and South Shore at Lake Camanche open at 5:00 am and close at 11:00 pm year-round. The North Shore is open January to December 15th. January to February is it open Thursday to Monday, Easter to October 31 it’s open daily, and November to December 15 it’s open Friday to Tuesday. The South Shore is exactly the same except from November to December 15 it’s open Thursday through Monday. 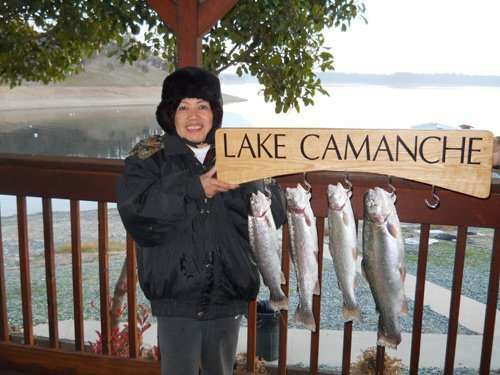 Lake Camanche has activities for everyone. There is hiking, camping, fishing, boating, and cottages. Lake Camanche also has excellent equestrian facilities. At Turkey Hill, group campsites can accommodate 8, 16, 24 and 32 campers and their horses, vehicles and trailers. This site has paddocks for horses and a horse washing facility. Lake Camanche is also great for regular groups. At South Shore, the Sugarloaf group campsite accommodates 64 campers. At North Shore, Lake Camanche has one 12 person group campsite, one 24 person group campsite and two 72 person group campsites. Campsite amenities include barbecues, tables, water, hot showers, restrooms and laundry facilities. Both North and South shore feature a clubhouse available for meals, meetings and social gatherings. 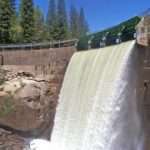 You can find the prices for the above group campsites here http://camancherecreation.com/cottages/groupSites.php. The phone number is (866) 763 – 5121. To contact them by email, please use Camping@CamancheRecreation.com. The address is camancherecreation.com. For directions please visit http://camancherecreation.com/directions/index.php. 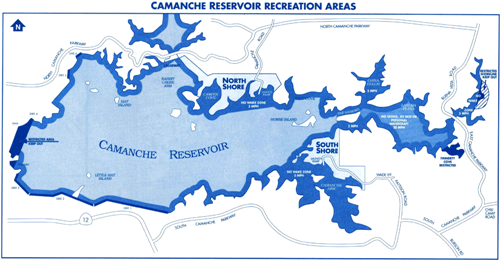 Lake Camanche is not very far from the Bay Area or the Sacramento area.